I came across the term microlectures from Educause. As the term implies microlecture refers to mini lecture in recorded format (can be a audio or video file) on a specific topic for 3 – 5 mins. Though I have seen certain microlectures that went up to nearly 10 mins. 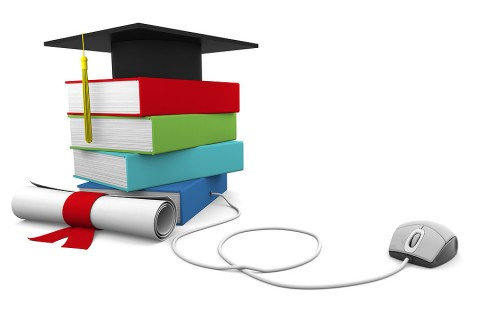 Khan Academy, Lydna.com and TED are some of the famous e-learning platforms that uses short video clip that serves as microlecture. Microlecture seems to be the new medium (not a total substitute) for conventional teaching as it provides a quick way for the lecturer to drop some information, ask a quick question or give a exercise to the students before or after a session. The downside is that it is a one-way channel as students are not able to interrupt or ask the lecturer a question (unless you host it over a blog). John Tubbs from University of Illinois shared the use of microlectures in flipping your classroom session. Increasingly, you don’t need to be a pro-video editor or proficient in the use of some sophisticated and expensive video cams or video editing software to create a video. This I found out during a video workshop exercise I had at the ALIA online information Conference I attended recently. With the use of just an iPad, we managed to create this video with 2 different group of participants during 2 different workshops. Kathryn Greenhill of Curtin University and Molly Tebo of State Library of Western Australia shared some really simple tips that will make your video looking really professional and chic. Here’s my sharing on how you too can create a simple video using screen recording device. The amazing part about the use of such screen recording device is that it captures even streaming video that you have on the screen. a) A little golden ball appears on your desktop when you launch Jing. Click on the ball for options. c) Set your audio input here. Jing only captures microphone input. d) Select plus “+” to launch the screen recording. e) Your cursor will turn into a crosshair. Use the crosshair to demarcate the area you want to capture. Click the first point and drag for selection. The highlighted portion with the captured area. f) A black menu bar will appear below the captured screen. Select Capture Video. g) A count down of three seconds will begin. After the countdown, Jing starts recording. You are limited to five minutes of screen recording time. If you need to do more than this, you can capture what you need to do in multiple sessions. 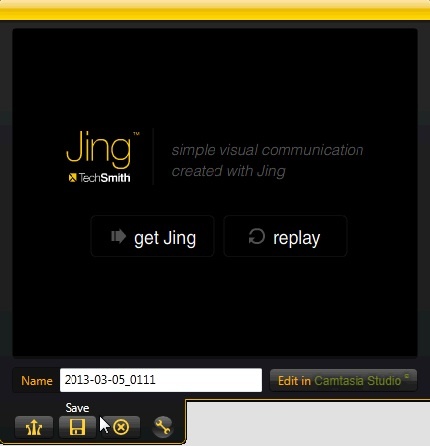 h) When you are done recording, click on the Stop button on the far left side of the recording screen, and Jing will show you a preview of your recording. i) The file format is saved in SWF or flash videos and viewable via a flash player or real player. c) Click on the little little triangle on the right side of the black control bar to set the necessary settings. 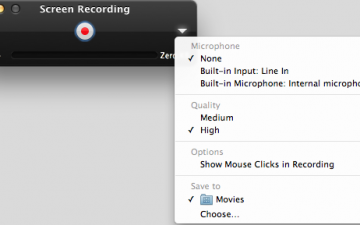 It allows option for recording of audio via built-in microphone or input, show mouse clicks, etc. 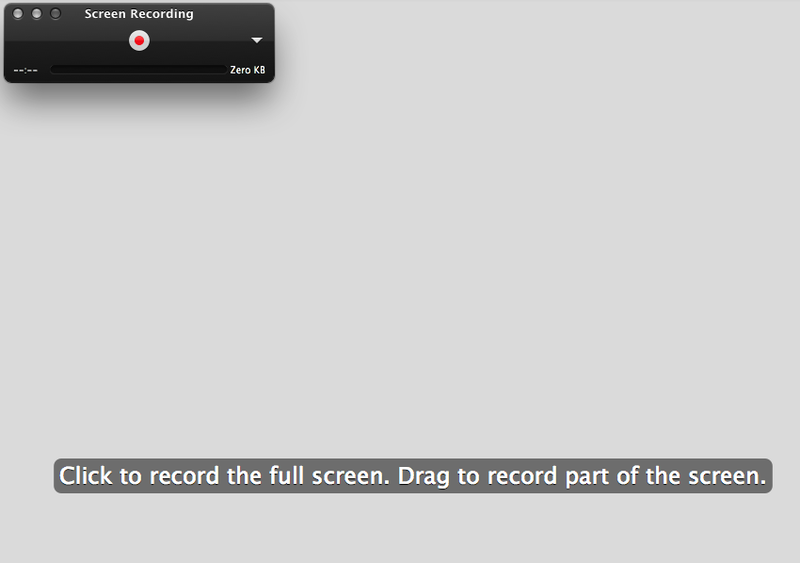 d) Click on the red button to start record. e) Determine if you want the full screen or a part of the screen in the video. Select an area if you do not want the whole screen to be captured. f) The file format is saved in m4v or mov and viewable via a Quicktime, Windows Media Player and Real player. Check out great tips from Kathryn and Molly on how to create that environment. Windows Movie Maker is free and it is available in all windows. It allows you to trim parts of your video and remove the unwanted parts; it also allows you to add multiple videos and audios; add in text as header, cover page or subtitling; add in images and control the speed of your video and transitions of different segments of the video. Here’s a useful video tutorial to get you started. A little personal tip I used when mashing up 2 different videos that might look awkward one after another is by inserting a black image in between the 2 images and then use “fading” for the transition. It does make the transition from 2 different video scenes or 2 roughly cut video parts appears seamless. If you expand the video option on the storyboard, you can also mute out background noise or unwanted audio that might be inside the video recording. See this video on how to layer audios in windows maker. Apple’s iMovie like Windows Movie Maker is a very simple to use but powerful video editing tool, available on Mac. See video below for basic video editing using iMovie. aided me out loads. I am hoping to give a contribution & help other customers like its helped me.